What are some of your favorite books set in other countries? Chrissi - Thank you! This was such a fun list to put together. Greece is a country I'd like to see more of, and China and India as well. Nice list! The Night Parade looks great, and so does the one set in Ireland! Greg - When my mom was showing me photos from her trip to Greece, I couldn't help but think of Leigh Bardugo's Wonder Woman. Probably not exactly what someone thinks of when thinking of books set in Greece, but part of it is. 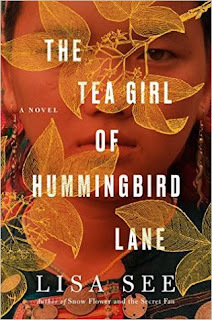 I love reading books set in India and China. Great list, Wendy! I'd only read three of the books you listed and yes, I love reading books about other countries and their culture so will have to keep your list in mind. Sooo much goodness on this list to enjoy, not to mention diverse countries! Verushka - I love reading books set outside my own country. I don't do it often enough. I haven't read a single book on your list, but I'm aware of many of them. Looks like my TBR is going to increase - ha! I want to read The Night Parade. I love that cover. Mariela - I hope you will read The Night Parade! It is such a good book! I love books set in other countries. Some of my favorites are The Confusion of Languages, The Book Thief, and Mastering the Art of French Eating. 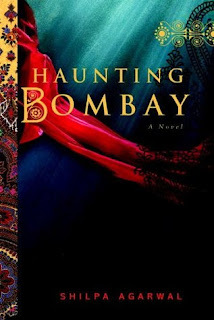 Kathy - I love reading books set in other countries as well. Of those you mention, I have only read The Book Thief--that's a really good one! 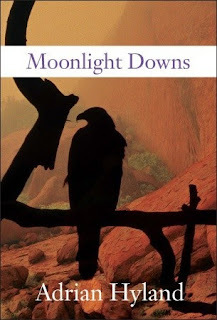 I've always wanted to read The Night Parade but never picked it up. Maybe I'll see if my library has it. Barb - I hope you do give The Night Parade a try. It's a fairly quick read. I really enjoyed it. 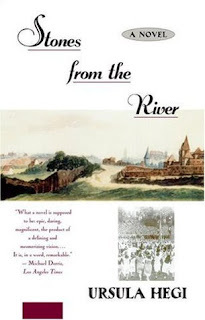 I was surprised and happy to see Stones from the River on your list. I read this years ago and really liked it! Poinsettia - The Ghost Bride is a good one! I recommend it if you get a chance to read it. Sim - I need to read more by Adichie. I really admire her as a person and an author. I've got Adichie's Americanah sitting in my TBR pile. I hope to get to it one of these days. Wow what a nice list-all different places!! I haven't read any of these but they look nice!! I need to read more Adichie books. I’ve only read Purple Hibiscus, and I really liked it. Great list! AJ - I need to read more by Adichie as well. I have a copy of Purple Hibiscus, but I haven't yet read it. I really need to branch out on my reading a bit. I do like the sound of Ghost Bride so I may have to check that one out. 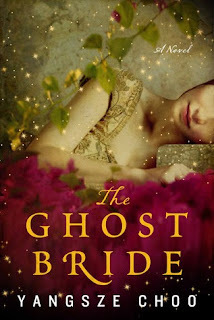 Carole - I hope you do give The Ghost Bride a try! 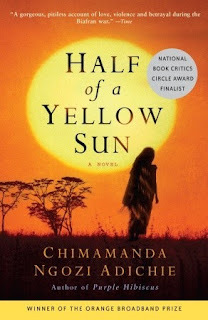 I have Half of a Yellow Sun on my shelf and really need to read that one. I always hear such wonderful things about it. 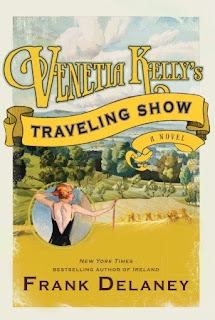 And how cool is the cover for Venetia Kelly's Traveling Show? I love it! Suzanne - I really enjoyed Half of a Yellow Sun. I keep meaning to go back and read her earlier book, Purple Hibiscus, but I haven't managed it yet. Awesome list! I haven't heard of any of these books before, but they sound great! Ronyell - They are all good! These books all look interesting. I would like to read most of them. I am thinking about what my own list would look like. I am in The United States. I read a lot of books set in The UK. I would likely not count those. Brian - I tend to read a lot of books set in the United Kingdom as well. The Lotus Eaters sound really fascinating and I still have The Night Parade on my TBR list! Eustacia - Thank you for the correction. It was late when I put this post together and I was in a rush. The Night Parade sounds so cool! Great picks! 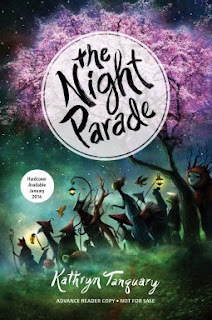 The Night Parade - The Night Parade is really good! What a great list! I really need to get out of my usual locations when reading as I always really enjoy it when I do. The Night Parade and Ghost Bride are both on my TBR. They sound amazing. Katherine - It's hard to visit every place we want in books with so many great sounding books out there, isn't it? At least I know I'll more likely visit all these places in books than I will in person. 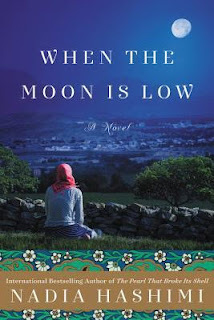 I'm loving these lists and adding so many books to my tbr list - love books set in other countries. 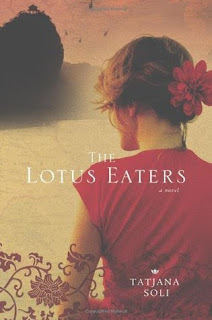 The Lotus Eaters was one of my fave books the year I read it and it still stays with me after many years. Lisa - I love books set in other countries too! I am glad you loved The Lotus Eaters too! I still think of it as well.